There are a lot of ways to define success and how the measurement could differ from one person to the other. So, when it comes to success, people may agree to see it from a few point of views like how well-known they are to the world, how much they have given to the community or people widely, and perhaps how much they have gained from the fame itself. These points are what will be used to list down these 8 most successful people in Russian civilization. Also, because this is civilization that we are going to talk about, these people would be gathered from varied fields of profession and different generations in time. One thing in common; they are popular even to the people who aren’t Russians or living in Russia. Some of them may sound familiar to you, some not. Let us learn some facts about why these Russians are counted as successful. This tennis world champion was born in Nyagan, Siberia on April 19, 1987 under the full name of Maria Yuryevna Sharapova. She started learning tennis at the age of four and it has been something that has a special place in her heart. Sharapova reached the world no.1 rank on August 22, 2005 when she was only 18 years old. She also holds the career Grand Slam – four most important tennis event in the world – and is the only Russian on the list. Sharapova also makes it to one of the 30 Legends of Women’s Tennis: Past, Present and Future in June 2011 also 100 Greatest of All Time by Tennis Channel in March 2012. Outside of her career in tennis, Maria Sharapova is also a Goodwill Ambassador for the United Nations Development Programme that concerns specifically with the Chernobyl Recovery. This clearly goes back to her root as a Russian and more because her parents, Yuri and Yelena, are originally from Gomel, Belarussian that was regionally affected by the Chernobyl nuclear accident in 1986. He was born on September 9, 1828 and died on November 20, 1910 according to the new or Julian Calendar. His family was aristocratic and that fact made him a Count born under the full name of Lev Nikolayevich Tolstoy. Dubbed as one of the greatest authors of all time, Tolstoy had written so many books, short stories, plays, and essays that talk about philosophy. Two of his most famous novels are War and Peace (written in 1869) and Anna Karenina (1877). Russia is famous for their chess players. At the age of 22, Kasparov defeated Anatoly Karpov – also a Russian – and gained his title of World Chess Champion. Born on April 13, 1963, Garry Kasparov held his no.1 rank for 225 months out of 228. He retired in 2005 then moved on to fields not too related to chess. He got involved in politics and did serious writing. Another famous writer from Russia other than Leo Tolstoy is Anton Chekhov, only the latter was specialized in short stories and playwrights. Chekhov was born in Taganrog, a part of Southern Russia on January 29, 1860. He was dubbed as the father of the modern theatre for introducing new approaches to plays through moods and words. He is very legendary and respected in the theatre world that his name is up for an international theatrical event held in Moscow every two year. As a Russian Muslim mixed martial artist, Nurmagomedov shocked the world on October 6, 2018 when he defeated Conor McGregor, the former world champion of UFC lightweight , and therefore took over the title. It was an intense fight and became one of Nurmagomedov’s most important milestones in his life and career as a mixed martial artist. He was born on September 20, 1988 in Sildi, a village in Dagestan, Russia. For film enthusiasts, this name is a legend. He lived up the classic cinema but his name is still alive long after he is gone. He was born as Yuliy Borisovich Briner in Vladivostok on July 11, 1920 and passed away on October 10, 1985. The most famous role he ever played was King Mongkut of Siam in the musical The King and I that awarded him two Tony Awards and an Academy Award for the same role in the film version. Among the millenials his name is undoubtedly popular. He was born under the name of Anton Zaslavski in Saratov, Russia on September 2, 1989. 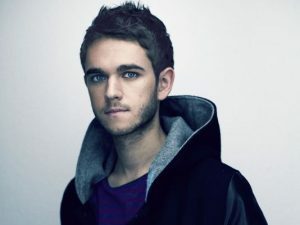 Zedd is his stage name when he started his career as a DJ, songwriter, and music producer. He has collaborated with a lot of famous musicians from across genres including Ariana Grande and Alessia Cara. He won a Grammy on the 56th Grammy Award for Best Dance Recording. Very well known internationally with his amazing falsetto and vocal range that reaches almost five octave, the Russian singer born as Vitáliy Vladasovich Grachyov was first garnered his popularity when he performed The 7th Element song together with a quirky costume and the infamous turkey call. This music video is circulating in the social media more and more every day and making Vitas a step more recognized internationally every time. From the list you have just read, how many did you recognize instantly? Some may ring the bell to some but not the other. The younger readers may know some, and the older ones the others. Maybe you have heard of them all on the first go. That was our version of the list of 8 most successful people in Russian civilization. You may have different version but something that we can definitely agree upon is that Russia is a rich country when it comes to culture and talents. They have some of the strongest, smartest, most unique and gifted people on earth that the world may take as successful or popular.